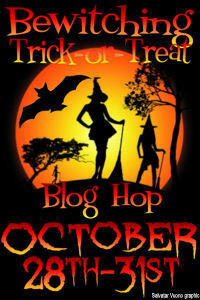 Cari Quinn, Girl Writer: Bewitching Trick or Treat Blog Hop Oct 28-31! Yay, it's almost time for Halloween! Halloween is my favorite holiday and has been since childhood. So crank up some Thriller, grab a glass of chilled cider and find your e-reader. It's time to PARTY! First, I'd like to thank the most awesome Drea Becraft for organizing such an AMAZING blog hop! Since I'm currently on deadline, this is going to be the easiest contest ever to enter. There will be prizes given to TWO winners. Winners will be announced in the next week to ten days after the contest ends, depending on when my mental fog from my writing spree clears. - Leave a comment telling me who you will be spending Halloween with - or who you WISH you were spending Halloween with! Easy peasy! Now go forth and comment...and click on the graphic to check out all the rest of the amazing blogs participating in the blog hop! HAPPY HALLOWEEN and good luck! sadly, I will be spending my Halloween in Elementary Algebra class =P I'd much rather be elbow deep in a plastic pumpkin full of candy surrounded by my favorite TV vampires (Eric Northman, Spike, Angel, Damon, etc.) the list goes on forever! I will be spending Halloween with my hubby. First one together ever. We're doing nothing! Thanks for the fun. I will be spending Halloween with my mother and sister's, eating candy and watching movies. We don't celebrate Halloween over here in the Maldives. 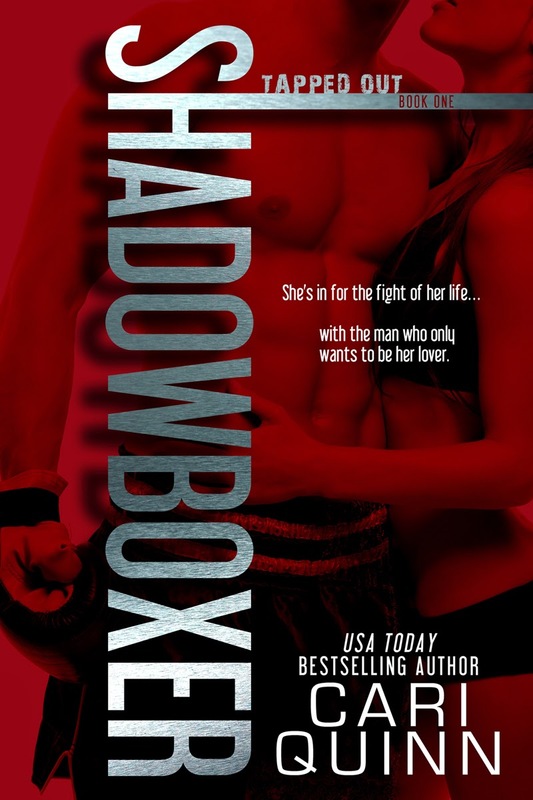 And I have already read Bad Kitty, thanks to the awesome Cari. I'll be taking my boys around the neighborhood! Nothing super fun, but they have fun, so that's what matters. Most likely I will be spending Halloween by myself, kids will be out doing their thing husband is usually in bed by 7 no matter what night. Fun not! Anyway would love to read your new book! Hi Cari, good luck with writing. I will be spending my Halloween with my family. I love the holiday and we'll be trick or treating. Don't tell anybody I'm too old to trick or treat. I will be spending Halloween with my dog, but I wish I could spend it with my nieces, who live 8 hrs away & I don't get to see as often as I want to. I will be spending Halloween with my hubby and my BFF. We are starting an annual Halloween night of scary movies, and junk food. My youngest daughter and I are going to a party. Will be spending Halloween with my husband handing out candy to the kids. I will be alone on Halloween.I wish I was with my nephew going trick or treating with him. I will be spending Halloween with my husband and little zombies. Me and my hubby will be curled up on the couch watching a movie (as yet undetermined). I will be spending Halloween making up the kids for trick or treating, handing out candy, and then going through the kids candy! This may sound evil, but I can't wait for the day the kids are out of the house, and my hubby and I can just be alone. I'm going to shut the lights off and not answer the door. That really sounds bad, doesn't it? Oh, well 16 years of making up kids might do that to a person. (Only 1 year and the youngest will be too old to trick or treat) Yeaa for mom! I will be spending Halloween with the cutest lil goblins in the world, taking them trick or treating. My daughter hasn't decided if this year or next year will be her last year of trick or treating. For sure, I will be watching Ghost Hunters Live and answer the door if any kids come past (3 last year and all were siblings! I will be spending Halloween with my sister and my two nephews. Thanks for the contest. Well I'll be at home passing out candy and hanging out trying to get my sister to watch some scary movies. And I have my work cut out for me with that! I'll be spending it here giving treats to all the trick or treaters, I am a judge for our community decorating contest. There are a few neighbors who really did it up big. I'm spending it with my family. We usually do with extended family, but not this year. Thanks for the giveaway! I'll be spending Halloween with my neighbor taking the kids trick or treating....yeah!!! I will be spending Halloween curled up with a good vampire story. I would love to spend it with a tall, dark, handsome vampire but have not found any yet, lol. already a follower: June M.
Happy Halloween! Ill be spending my Halloween with my family. We're going to have lots of fun! :) Thanks for the awesome giveaway! I already follow you and today will be spent getting Brian's cast off his arm. So excited and then a party for him tonight. I'm an old GFC follower. I'm spending Halloween with family and pets. I wish that I was spending it with more a boyfriend but I don't have one and family means everything to me. Hi, Cari! I'll be spending Halloween at home with the hubby, the cat and the trick-or-treaters. I've added your blog to my google reader page! Woot! I spent my Halloween with my husband, kids and mother. A family night of trick or treating, laughter and only a small meltdown. I spent Halloween with my family or at least most of my family. My oldest went out trick or treating with her friends. I'll be spending my Halloween with my two children watching a monster movie (Cloverfield) and after they go to be reading your book Insatiable!